If you are feeling bad about your lack of knowledge regarding legal choices for your parents, go easier on yourself. 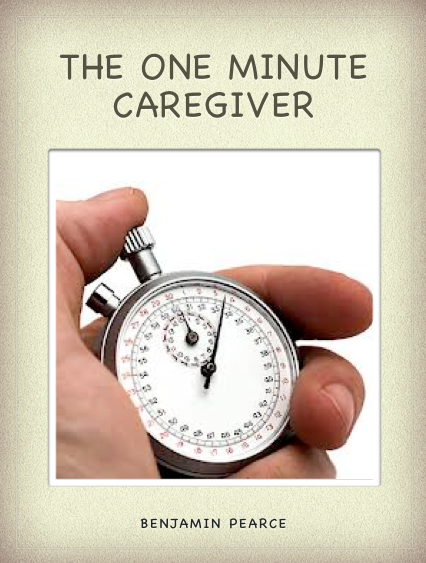 Few people are prepared for the responsibilities of caring for an aging parent, preferring to procrastinate difficult discussions hoping the time may never come but it usually does. Few of us are fully informed about the legal options, which relate to their care should they for some reason become incapacitated or unable to make those decisions on their own. It is a good idea to seek professional advice in making and documenting your decisions in advance from a qualified elder law attorney. The following definitions may be helpful to you so that you know what basic options are available. Advance directives are written instructions about one's health and wealth decisions in the event that one becomes incapacitated and unable to make those decisions for themselves. While State regulations vary, there are essentially two types of advance directives: a medical power of attorney, living will, and power of attorney. A medical power of attorney is a document, which enables you to appoint someone whom you trust to make decisions about your medical care in the event you cannot make those decisions, yourself. Also known as a health care proxy, the person you appoint through a medical power of attorney is authorized to speak for you any time you are unable to make your own medical decisions, not only at the end of life. A living will is a type of advance directive in which you put into writing your wishes about medical treatment should you be unable to communicate those wishes. A DNR or Do Not Resuscitate clause may be part of a living will which documents that you may not desire to have extraordinary efforts made on your behalf to give artificial respiration to revive you in the event of cardiac arrest or other catastrophic medical failure. It enables you to choose or decline certain or all treatments or insist on trying all possible treatments, or something in between. It is critical that the language you use in this document is as specific as possible. State laws also define when a living will may go into effect and may limit the treatments to which the living will may apply. Your right to accept or refuse treatment is protected by constitutional and common law. Patients' Bill of Rights enable you to bring a copy of your living will or medical power of attorney to the hospital to your treating physician so that your wishes can be adhered to. The Patient Self-Determination Act requires health care facilities who participate in Medicare and Medicaid to inform patients of their rights to execute advance directives. A Power of Attorney is a document which enables an agent or attorney in fact to make financial decisions for you should you be unable to do so, or simply do not wish to do so. A power of attorney can be limited to bank accounts, transferring of assets, paying bills or it can be very broad encompassing all financial decision making on behalf of the person. There are two types of powers of attorney, a springing and a durable power of attorney. A springing power of attorney only becomes effective when a stipulated condition is met, such as the creator becoming incapacitated or incompetent. To determine incapacity, typically at least two physicians must declare the individual to be incapacitated. To declare someone incompetent normally requires an order from the courts resulting from a competency hearing which, if contested can be arduous. The more common type of power of attorney is the durable power of attorney, which is in effect as soon as the document is properly executed, and is always in effect until it is cancelled or replaced by the creator. A legal guardian is an adult to whom the court has given authority and responsibility for providing care of an individual or an individual's assets, or both. To act as a legal guardian you must take control of the property; make sure that it is adequately protected against loss; establish a budget for the Ward; pay the Ward's debts as they become due; invest the property in a manner suitable to the Ward's circumstances and periodically report to the court about the assets, receipts and disbursements of the estate. A guardian need not be a relative of the individual. The court may appoint a guardian of the person when there is no one able or available to meet the needs of the individual because of the their own incapacity, or other reasons. This person is called a guardian-ad-litem. Guardianship is established only after legal documents are filed, a necessary investigation is conducted, the physician has provided testimony via affidavit and /or court hearing and the court appoints a guardian. Often the court may require that a bond be posted to secure the responsibilities of the guardian. Once appointed responsibilities for the individual may be very broad. Guardianship law may vary significantly from state to state. The decision surrounding your advance directives should not be undertaken lightly. Capacity to make a health care decision encompasses the ability to understand and appreciate the nature and consequences of a health care decision, including the resident's diagnosis and prognosis, the benefits and risks associated with the decision, alternatives to the decision, and having the ability to reason and make judgments about the information. Capacity to make financial decisions so that one's assets and income can be efficiently applied to maximize one's quality of life can also be beyond the reach of the average person, so it is wise to seek professional guidance to fully understand the expectations of your role, or the role of the agent(s) you have chosen to act on your behalf in any such arrangement. This information is not intended to provide legal advice but is merely informational. If you would like to have your current documents reviewed or these documents properly prepared and executed, please consult an attorney who handles elder law issues.